Ancient MInoan Carnelian & Gold in modern gold wire reconstruction. Finding long tubes of Minoan carnelian is not bloody likely. These have been with me for well over 45 years, and I’ve not seen their like for several decades now. The squarish gold beads are very high karat, somewhere between 18k & 22k. 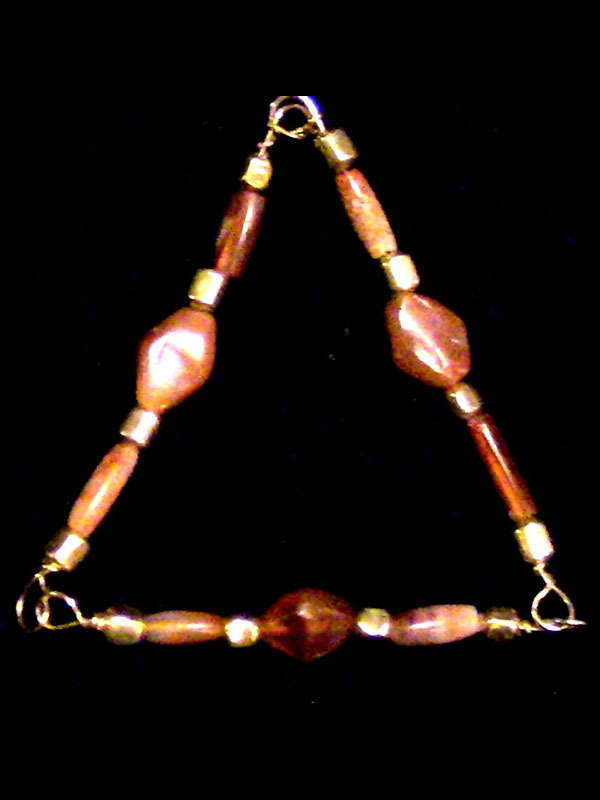 This Triad could not be repeated in today’s antiquities market and is well worth every penny and more.